Born September 16, 1838, in Hendricks county, Indiana, where he was reared and which has ever since been his home, and where he is to-day recognized as one of the most prominent citizens in business, politics and in other ways. He served in the three months' service in the 7th Indiana. On being mustered out he went to Iowa and assisted in recruiting a company, which was called D and assigned to the 13th Iowa, in which he was appointed 1st lieutenant. He commanded his company at Shiloh, losing nineteen men out of sixty-four engaged. 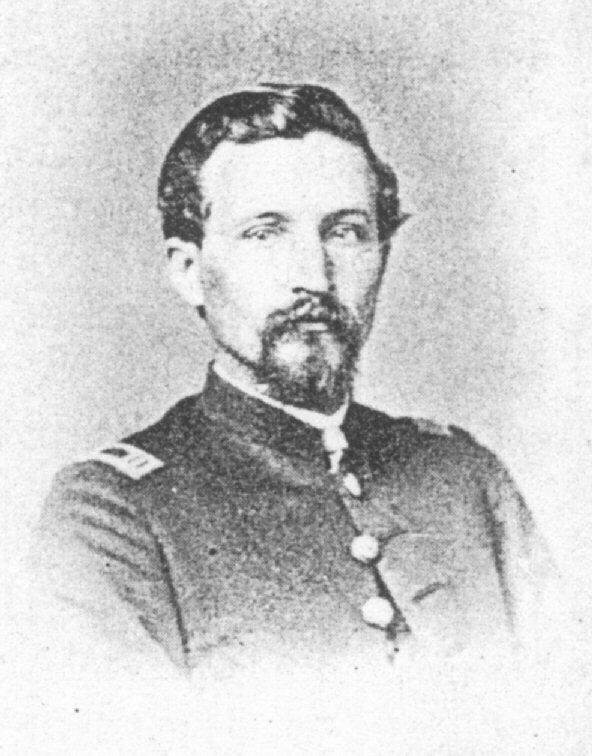 Being wounded himself he received leave of absence, came back to his home in Indiana and recruited Company H, of the 99th, of which he was appointed captain, and was mustered out, in consequence, of the 13th Iowa. He commanded his company until December 23, 1863, when he was detailed as assistant inspector-general of the brigade, and served in that capacity until July 12, 1864, being in the meantime given the rank of brevet-major. He joined the regiment and took part in the battle of July 22d when he was taken prisoner and held as such until September 28th, when he was exchanged. Took command of the regiment at the Hood pursuit, after which he received leave of absence and came home, and December 26, 1864, having served over three and one-half years, was honorably mustered out of the service. He was married in March, 1865, in Danville, Indiana, and has a wife and one son, also married. He calls himself a farmer, and he does considerable in that line, but his business interests in other ways take much of his attention. He has a delightful home and enjoys life, his principal recreation being as an active worker in the councils of the Republican party of the state and nation. He has not changed very much in looks from the picture above, which was taken in the army.